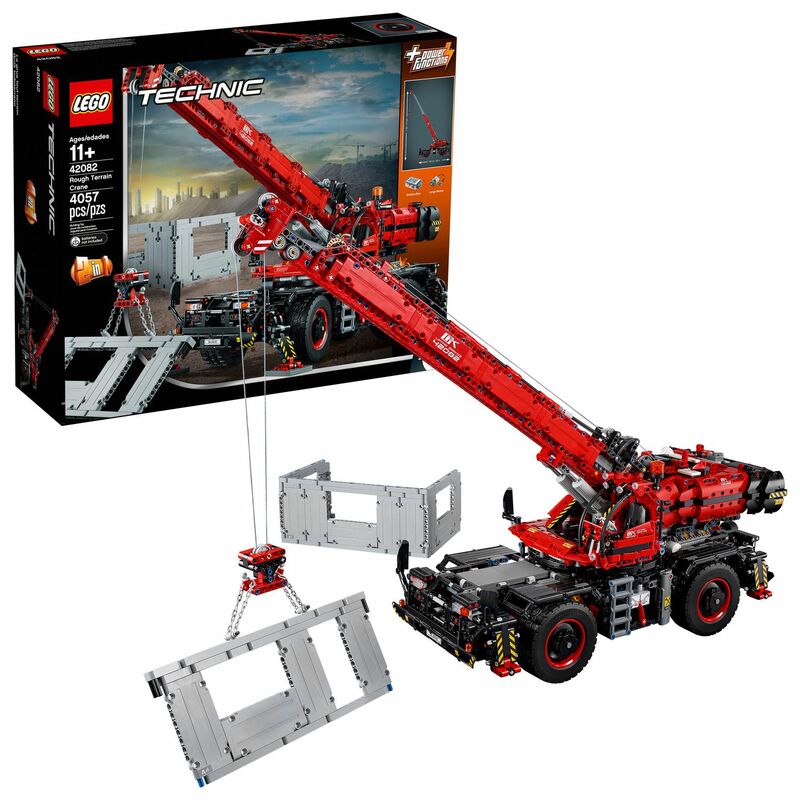 • Features a LEGO® Power Functions large motor for controlling the cranes upper and lower functions. • Select upper and lower crane mode for complete control over an array of easy-to-operate, motorized functions. 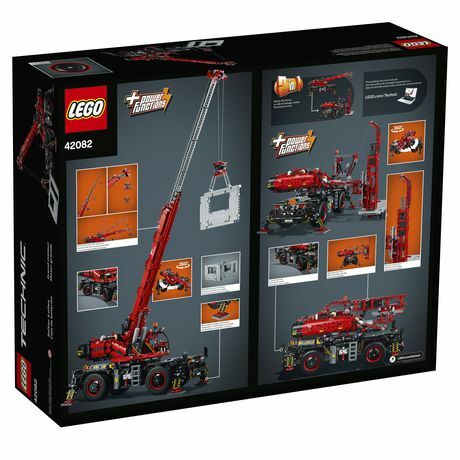 Lower the stabilizer legs, rotate the superstructure through 360°, operate the lifting winch or send the extendable boom a meter into the air! • Manual functions include 4-wheel steering, 4-wheel drive, detailed V8 engine with moving pistons and fan, adjustable wing mirrors and an opening cab door. 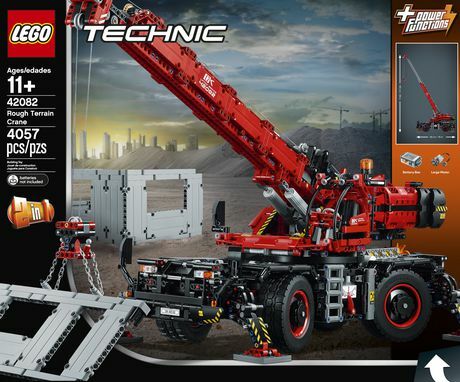 • Hook up the included LEGO® Technic building sections and put your LEGO crane operator skills to the test! • Open the door to access the detailed operator’s cab. • Open the storage compartments to access the chains, tools and fire extinguisher. • Comes with a red and black color scheme. 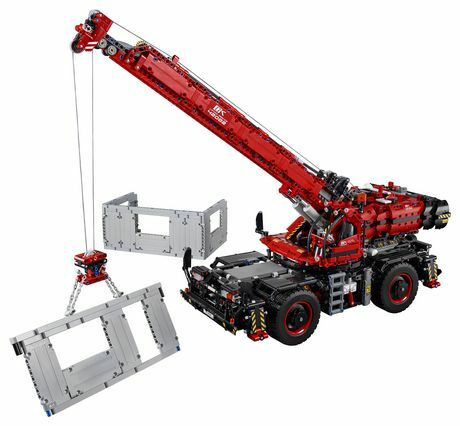 • The largest and tallest LEGO® Technic™ crane to date—pre-August 2018—with more than 4,050 pieces. 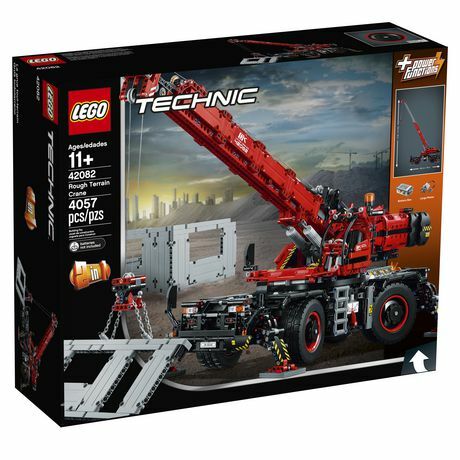 • 2-in-1 LEGO® Technic™ Set: rebuilds into a Mobile Pile Driver. 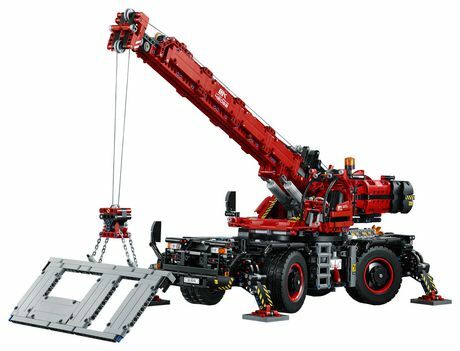 • Rough Terrain Crane measures over 39” (100cm) high, 25” (66cm) long and 10” (26cm) wide in working position, and over 10” (27cm) high, 29” (76cm) long and 7” (20cm) wide in driving position. • Mobile Pile Driver measures over 9” (24cm) high, 19” (50cm) long and 7” (20cm) wide in driving position.